The video conference was held on Monday, April 23 at 4 PM EST. Research presentations explore Internet and media use by Roma children and families; representation of migrant workers in China and their uses of social media. 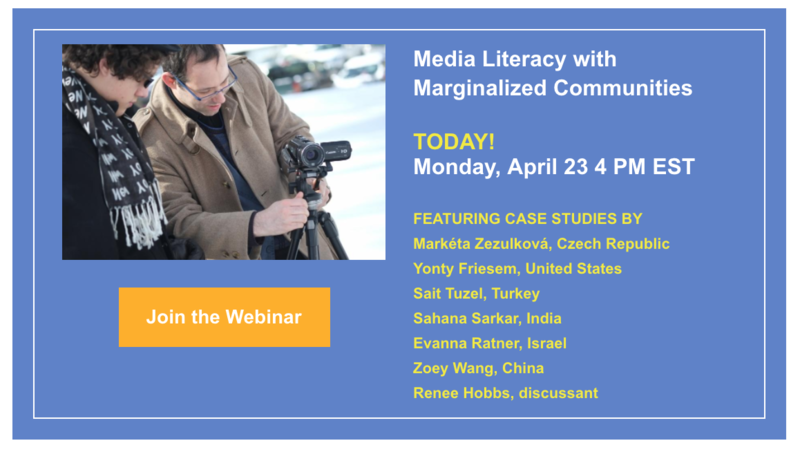 Presentations demonstrate how media literacy analysis and production programs with Arab Israeli preservice teachers and deaf high school students are designed and implemented. Cross-cutting themes include the questions about the perceived value of intercultural communication, the avoidance of critical analysis of news and current events, and key differences that exist within and among marginalized cultural groups. This presentation was a practice session for the research panel session at the International Communication Association meeting in Prague in May 2018 developed by Yonty Friesem at the Media Education Lab.